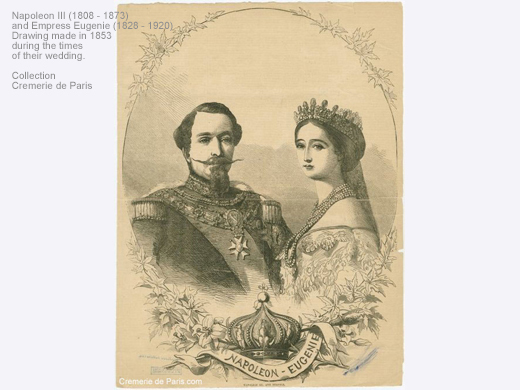 • 1853: Eugenie de Montijo marries Napoleon III, their main residence is the « Palais des Tuileries » located between the Louvre and the jardin des Tuileries, very close to the Meurice. Many foreign relations of the Imperial couple stay at the Meurice. • 1854: Construction of Villa Eugenie, summer home for the French Emperor Napoleon III and Emperess Eugenie. The architect is Hippolyte Durand, followed by Louis-Auguste Couvrechef. • 1855: Grand opening of the Villa – Napoleon III gives many hi profile receptions. • 1858: Portrait of the Emperess with view on the grande plage de Biarritz. • 1873: Empress Eugenie inherits the Villa on the death of Napoleon III. 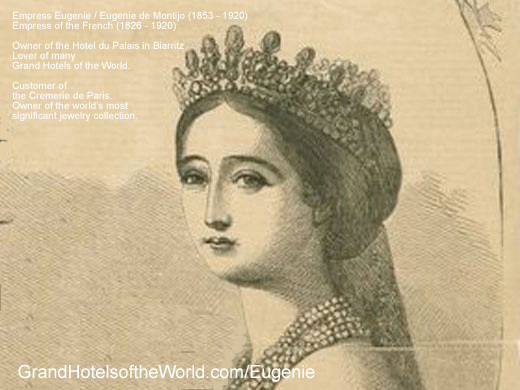 • 1880: The Empress sells the Hotel to the Banque de l’Union Parisienne. Villa Eugenie becomes the Palais Biarritz, a Casino Hotel. Eugenie at the Hotel Meurice in Paris, the Hotel de Paris in Monaco.